The Indians have an ancient tradition - when a child reaches the age to become a man, the child has been tested. And if the child endure the trial, the child becomes a man, becomes a warrior, together with this the child receives a new name - a name which is given by the spirits of nature, a name that is in tune with his soul, a name which will give him power to the rest of his life. Far in the space there is a planet that has the same custom, it's a custom which we do not remember, but many of us have not forgotten. This custom was performed by the priests of ancient Atlantis - this is the custom of the crystal hearts - when the time comes the boy to become a warrior, it runs through a number of tests, and if he deserved - he receive a crystal heart. During this ritual the masters of light are placing in his chest one more heart to give him the strength to follow the path of light and to help him to master and use his psychic powers. 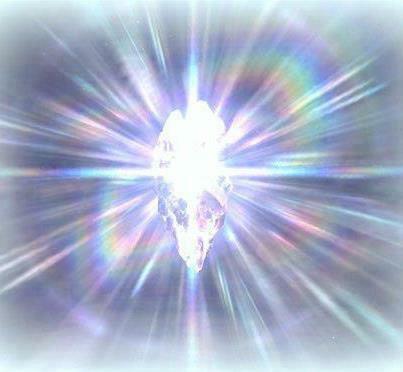 This is a heart of pure crystal and inside of it is embodied the very essence of the light and love. This ritual was reminded to me by a being calling itself "The Great Arthurian Light/Crystal Shaper". He reminds me that the time has come the warriors with crystal hearts to walk again together on this earth. Because they are called and they are needed. From a practical point of view, the crystal heart is set in a special place in our bodies called the sacred heart, this place is both in us and in the fourth dimension. The main function of the crystal heart is in its vibration which it radiates constantly and its essence - the essence of the light and love. With this constant vibration the heart continually adjusts us to the frequency of light and love and by the law of attraction it attracts the same vibrations to us - the vibrations of light and love. 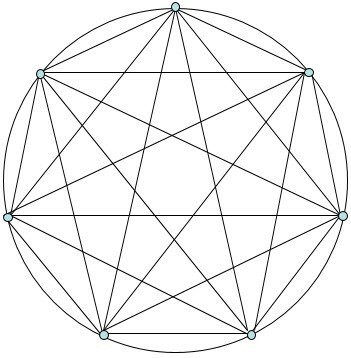 For the humans because of their energy structure - the crystal hearts are with seven sides, which means that they can be loaded with seven programs - such like a Joy, if this program - Joy is loaded - the crystal heart will constantly emit vibrations at the level of joy and by the law of resonance we will attract more joy into our lives. 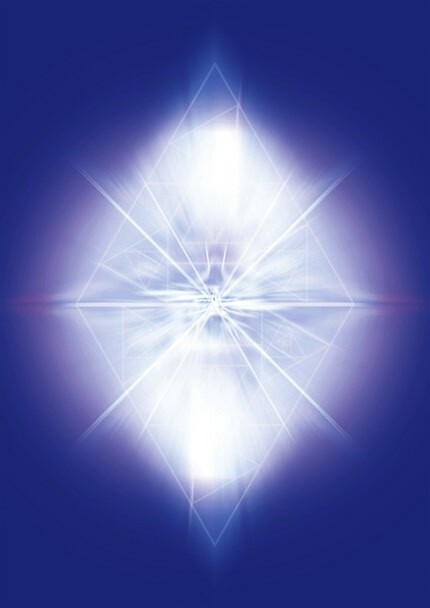 Since the main program of the crystal heart is the program of light and love, it can take other programs only if they are harmony with the laws of light and love. From manifestation point of view - the universe orients itself for our desires by the vibrations of our bodies, which are determined by our thoughts and emotions - which for the most people are very controversial with their desires - and because of this their wishes are usually not fulfilled. The Crystal Heart is not affected by our thoughts and emotions (even it is the opposite), it is affected only by the programs that are loaded in it. And the heart emits a constant, clear and reinforced with the energy of love and light vibrations - and because of this - the heart accelerates many times the process of manifestation. Within this three days on the participants of the ritual is performed constant energy work, in order the crystal heart to be created and connected with their energy systems in the best way of them. In this process a very pure essence/being is summoned and connected after it with the body of the adept like second heart. Preparation of the bodies of the participants in these three days. The rituals are already channeled and the whole ritual has been performed for three persons which now have crystal hearts, this have a big importance because it is happen for first time on Earth after very long time.